Good morning friends!! At least I think it’s still morning here. The clock on the wall says 10:40A. My cell phone says 10:08A. My computer says 10:22A. And Joan cannot tell time so I have no idea what time it really is. All I know is that I desperately wish it was Noon because my stomach is growling like a bear. An extremely hungry bear. 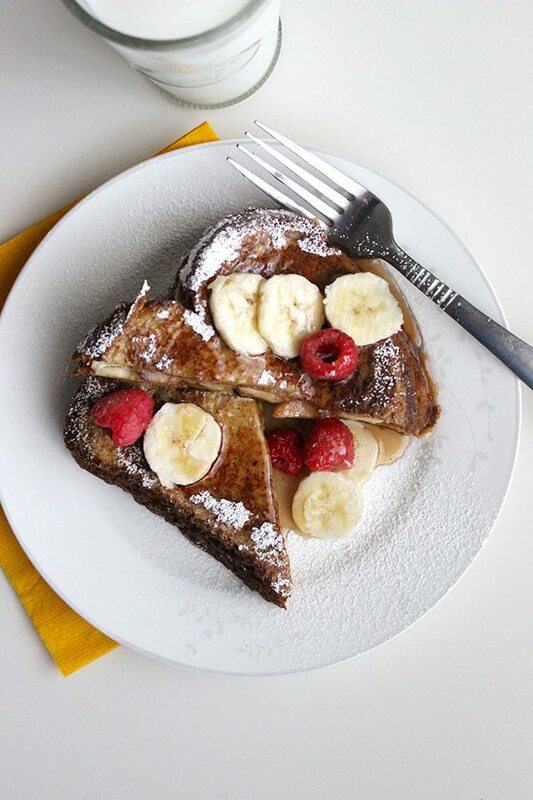 Definitely should have made this Peanut Butter Banana French Toast this morning instead of having a plain old bowl of oatmeal. Grrrr. Fortunately, we have one super important rule around here that breakfast can be eaten at any time. There are no time restraints. Especially when it involves hot off the stovetop Peanut Butter French Toast. Oh.My.Gosh.This.Stuff.Is.So.Amazing. Breakfast for Lunch. Breakfast for Dinner. Breakfast for Breakfast. This is delicious any time you want it! Spread peanut butter on both slices of bread to make a sandwich. In a small bowl, whisk together the egg, milk, vanilla and cinnamon. Soak the sandwich in the egg/milk mixture. Prepare a small skillet with non-stick spray then heat the skillet to medium-high heat. Cook prepared sandwich for a couple of minutes on each side until lightly toasted. Transfer sandwich to a small plate and top it off with toppings of choice. Serve immediately.